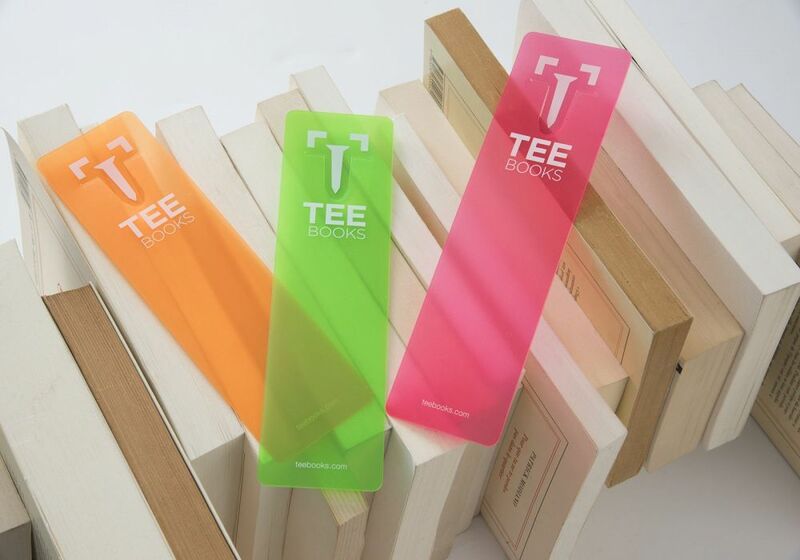 The TEEpage BOOKMARK is brought to you in a three-colour case. 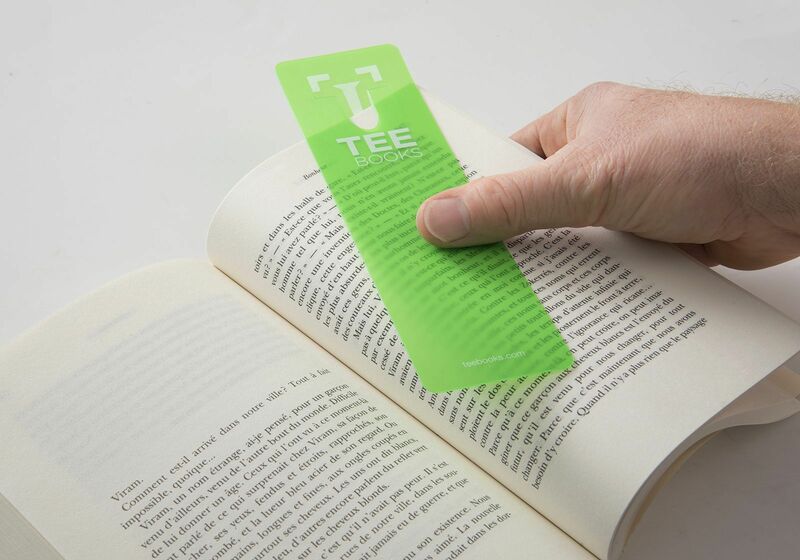 Made of light plastic, it has a tab to hold it to the page of your choice. 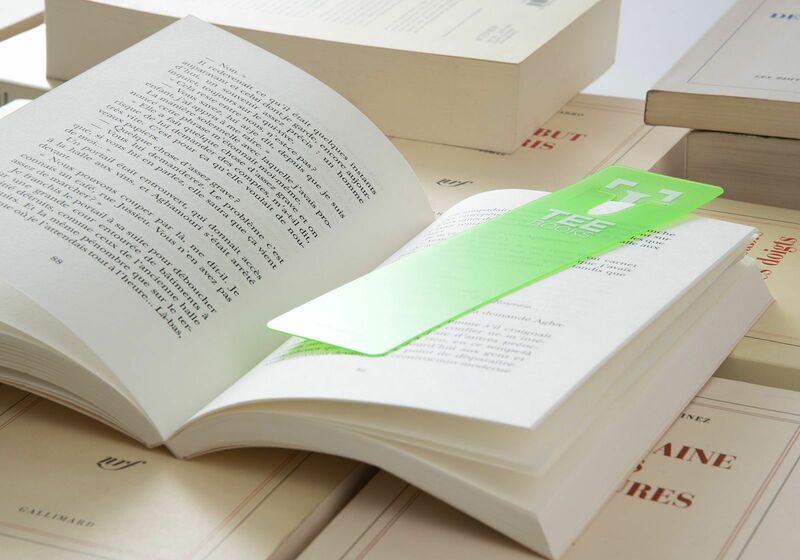 Our simple and practical BOOKMARK can be used in all kinds of books, magazines, reviews and newspapers. 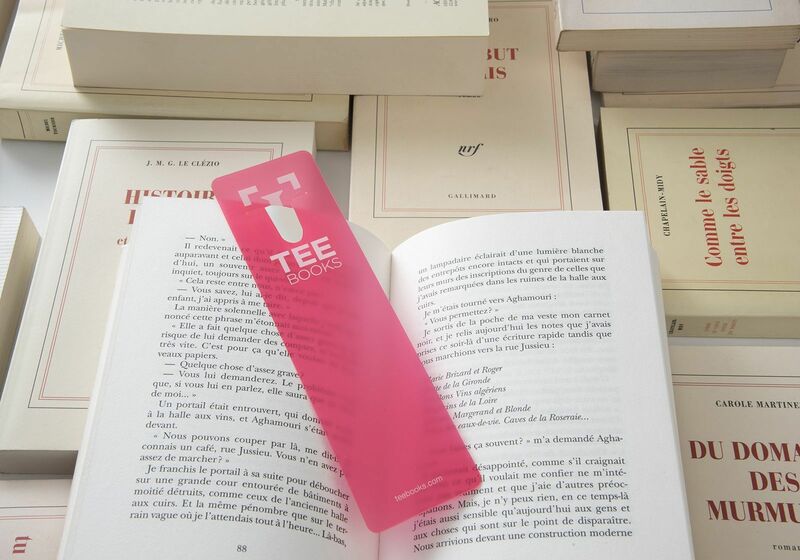 Never again lose your place in the book, thanks to the TEEbooks bookmark! 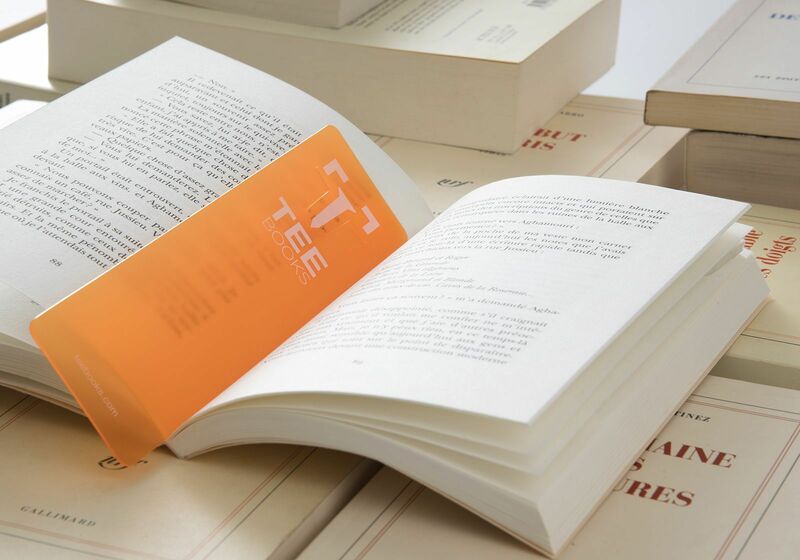 The end of folded pages, scruffy bits of paper and bus tickets! 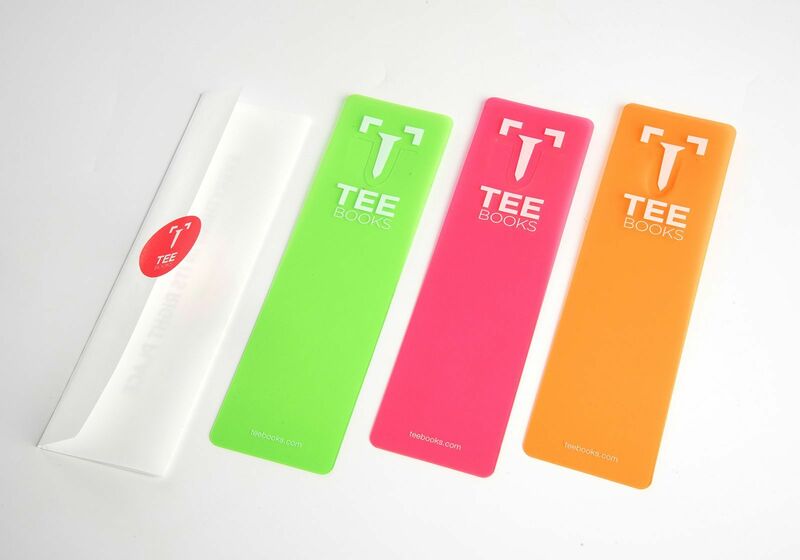 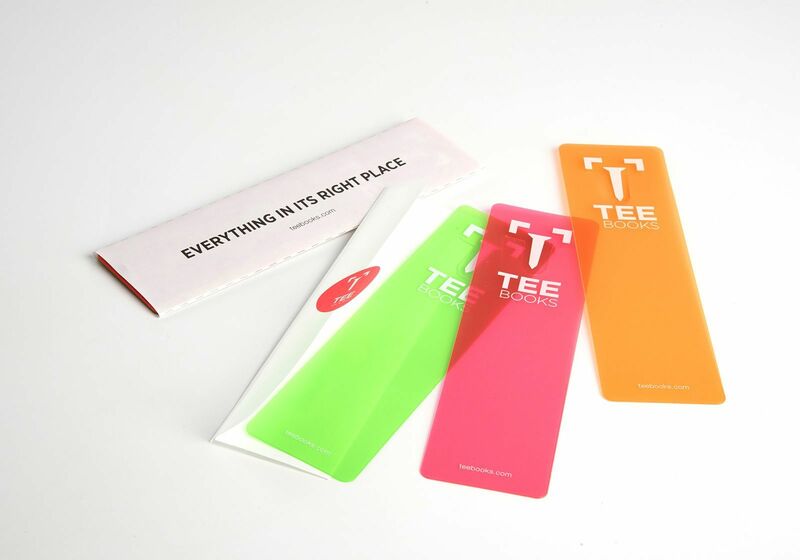 Original, simple and practical, the TEEbooks bookmark will be a great help whatever you are reading.